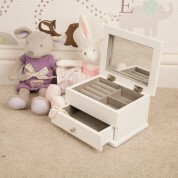 This utterly charming Jewellery Box for a Girl is a quality piece of Bedroom Furniture for storing all manner of childhood keepsakes. 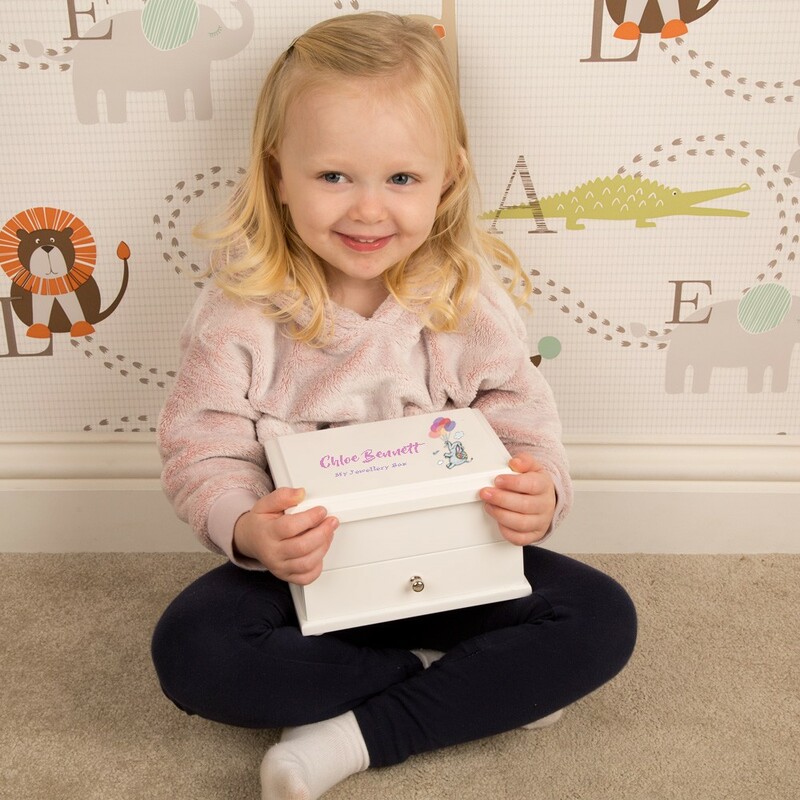 The adorable design was initially hand illustrated in watercolour by an "In House" Forever Bespoke Designer and is lovingly recreated on the lid of this fully personalised Jewellery Box. Made from wood it features a mirror on the inside of the lid, has a fully lined interior and has a storage drawer at the base. The upper compartment is ideal for storing jewellery such as rings and necklaces whilst the base will hold slightly larger items such as bracelets. 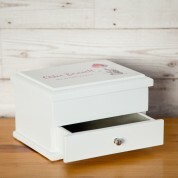 We will print your child's First and Last Names as well as including the words "My Jewellery Box" below. 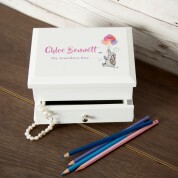 Your Personalised Jewellery Box measures approx 18cm in Length, 14cm in Depth and 11cm in height. Suitability regarding age is dictated by design. The Wooden Jewellery Box itself is a professional quality bedroom accessory which is available for all ages dependent on design. This stunning little box will suit many occasions such as 1st Birthday, Christening etc and is sure to be the centerpiece of any little gitl's room.